A popular North Indian breakfast dish, the Aloo Gobi Paratha is made with a stuffing of cauliflower and potatoes. It is quite easy to make and can be served with curd, pickle or any other side dish. Mix the potatoes, cauliflower, ginger garlic paste, red chilli flakes and salt together. Make small balls using this mixture and keep it aside. Take another wide vessel and add the flour and needed salt. Add required water an mix well to form a smooth dough. Make balls and roll out them to thick circle. 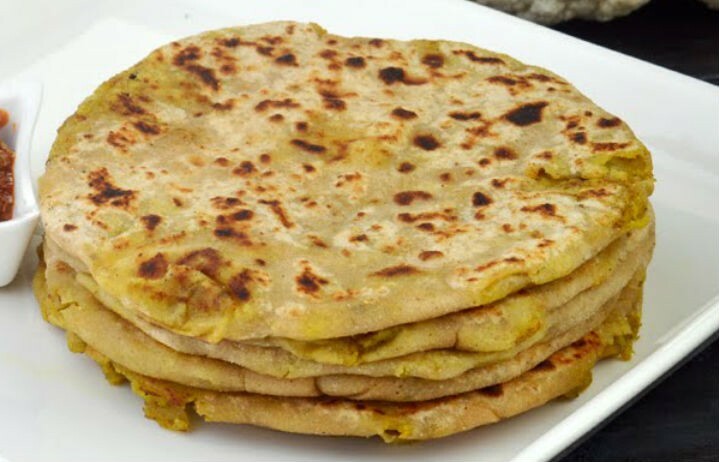 Feel free to comment or share your thoughts on this Aloo Gobi Paratha Recipe from Awesome Cuisine.